The kid's tantrum that ended with a mum punching a stranger. What would you have done if a stranger said this to you? So a mum was out shopping with her kid in California, and the kid threw a tantrum at the checkout. Okay. Then another shopper, a 20-year-old called Natalie Bree Hajek-Richardson, told the mum to quieten her kid down. The mum didn’t like a stranger telling her kid what to do, and it ended with Natalie telling the mum to go to hell and walking out. Only it didn’t end there, because the mum allegedly followed Natalie out to the carpark and punched her in the face. I’d like to sit both these women down and give them a talking-to. First, mum. I understand where you’re coming from, but punching another person is never okay. Right? Now, Natalie. I’m guessing you don’t have kids. I think there are a few things you need to know. 1. 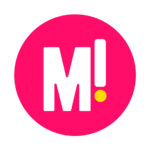 A parent taking a child shopping is already achieving a remarkable feat, particularly if the kid is not strapped into the trolley or there is more than one kid involved. Think "bull in a china shop", or rather, excitable young calf in a feed store. 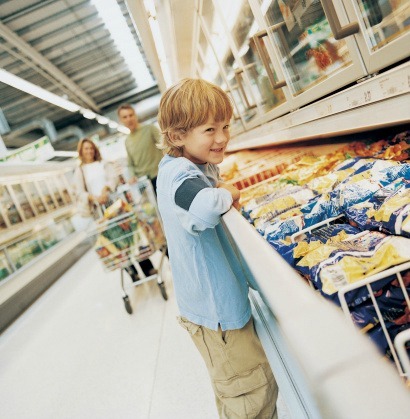 Taking kids shopping is great for teaching them about food, counting and all sorts of other things. It&apos;s just that it can be bloody hard. And if your child has ADHD or sensory issues, multiply that by a lot. 2. 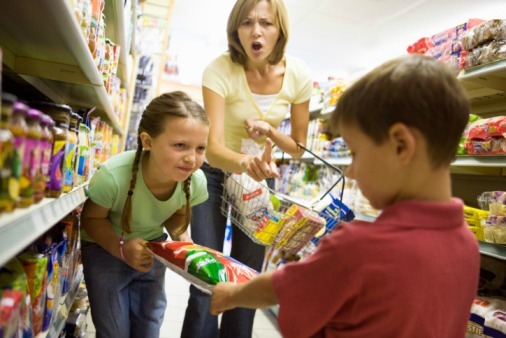 Quite often, when a kid is having a tantrum in a supermarket, the mum or dad is already doing the right thing. If the tantrum is being thrown over the kid wanting junk food or a toy, the easy solution would be to give in to the child and avoid the tantrum - or threaten them with a smack. The hard thing is to be calm and firm and let the child realise that tantrums won&apos;t get them anywhere. Until they grow up to star on a reality show, that is. 3. A public tantrum can be a good thing. It can make other parents feel better because they know they&apos;re not alone. In fact, sometimes it turns into a bonding experience, with a parent passing by giving a supportive smile. We&apos;ve all been there, right? Well, I certainly have. 4. Thank you for drawing attention to it, but the parent is, more than likely, already aware that the child is being loud. The parent would probably like the child to stop screaming, or the earth to swallow them up, whichever is quicker. But a shop is not a church, or a library, or even a restaurant. And the screaming is probably a lot quieter than the Lady Gaga song blaring out from the clothes shop next door. So, Natalie, next time, best just not to say anything. Okay? Do you think a bystander ever has the right to tell a parent to deal with their child who&apos;s having a tantrum? A restaurant accidentally boozed up six young kids with rum and vodka. "10 things that drive me nuts about other people&apos;s children."